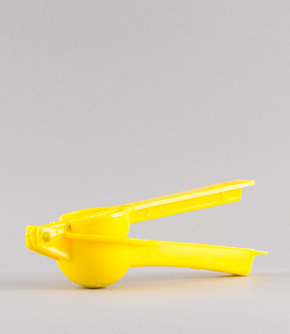 This plastic press is perfect for squeezing every last drop of juice out of your lemons. An ideal cooking accessory for your kitchen! Salty and sweet margarita rims make the perfect little gift for cocktail lovers. Contains: 1 x&nbsp;Hibiscus Margarita Rim (70g), 1 x&nbsp;Salty Chilli Margarita Rim (70g).